A rummy game is more than just a pastime. It is a skill-based play that improves your thought process, observation and analyzing power, and focus. While it was popularly played offline, today you can get a 13 card rummy game free download for PC, mobile phone, and other devices, and play the game on the internet during your free-time. So, how do you win this card game, especially if you receive too many high value cards in your hand? How to Count the Points in a Rummy Hand? Let us understand firstly how to count points in a hand and what high value cards are. The face value of the card denotes the number of points it carries. For instance, a card with number 3 printed carries 3 points, a card with number 5 printed carries 5 points, and henceforth. Now, in a rummy patti game, high-value cards are Queen, King, Jack, which carry 10 points each. Ace can cost one or 10 points. 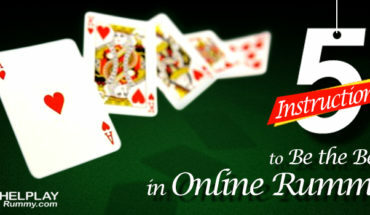 The objective of an ultimate rummy online play is to form sequences and sets to declare the game. Whoever declares the first is considered the winner of the game. The winner will have zero points in hand because he has created all valid sequences/sets. Whoever has maximum points in the hand is ranked the lowest. As high-value cards carry maximum points, it is obvious that these are least desirable. How to Reduce the Points in Rummy Hand? If you lose a game with too many high-value cards, then you will lose with maximum points. One way to reduce points in hand is to make pure sequences. Even if you lose a rummy cards game, cards in pure sequences will be not counted for points. This however does not resolve the issue of high-value cards, until they are used to make a natural run. If you play rummy online free without cash, then you need not worry much about the points in your hand, but if you play for money, then definitely keeping high-value cards involves a risk. However, you can still win the game with these cards, and turn them to your advantage. 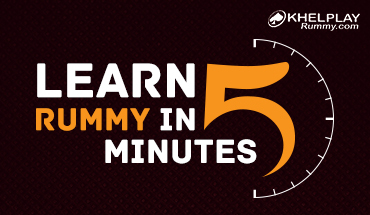 Below, we have discussed how to play rummy and earn real money even when your hand consists of high-value cards. If any of the high-point cards is not helping in forming a sequence or set, then you should discard it as soon as possible. Remember to make a pure sequence early in the game because with a natural run, you cannot win. Even after making a natural run you are left with King, Queen, or Jack, then you can choose to discard these and replace with lower-value cards, and try to use those to create a valid hand for a declare. You may not discard the K, Q, J at the very start of the game, as these can be utilized to form pure sequences and sets. However, after a few turns, if you are unable to use these cards, you should not hold on longer, but discard. One of the tricks to play online real cash winning games is to not give the opponent the card he needs. If your estimation tells that the rival requires a high-point card you have then keep the card for a while. But again, discard it as soon as you think the player does not need this card anymore. Usually, no one picks a card from the open pile, until the card is useful to make a sequence or a set. And if the card is a high-value one, people avoid picking it. But, this habit of detesting King, Queen, and Jack can be used to trick the opponent instead. You can actually crack real cash rummy by tricking the opponent to throw a high-value card by discarding a related card, and then use it to form a set or a sequence. For instance, you have Ace, King, and Jack of Diamond. So, you can discard the Jack, which may prompt the rival to discard Queen of Diamond. Now, you can use the Queen to make the sequence Ace, King, and Queen of Diamond. Thus, playing with high-value cards in rummy is not always difficult. 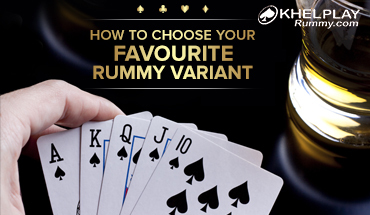 You can follow the above-given tips and optimize your rummy hand even if you receive high-point cards. 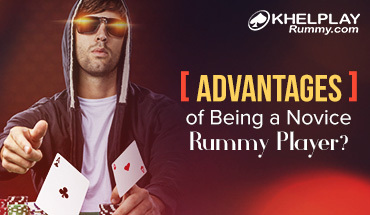 What Are the Advantages of Being a Novice Rummy Player?